Prominent & Leading Manufacturer from Pune, we offer impulse counter and hour meter and counter. With rich industry experience, we are engaged in offering a commendable range of Impulse Counter that has optional locking for reset button. Our offered impulse counters are examined on our numerous parameters in order to ensure the flawless range. Our offered impulse counters have high demand in the market due to their push-button quick reset. We develop the offered impulse counters by using advance technology & finest quality of components in accordance with the set norms. Note : Metioned price may fluctuate as per requirement. 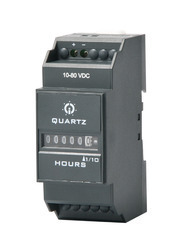 We are the prominent manufacturer and supplier of an excellent range of Hour Meter and Counter. This meter & counter is available in different technical specifications as per the precise requirements of clients. Offered meter & counter is manufactured in conformity with industry standards using supreme quality components with the help of forward-thinking technology. 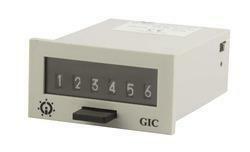 Used in various electrical industries, clients can avail this meter & counter from us at very affordable price. Looking for Impulse Counter ?